Donald Trump is a Latin American strongman. Forget the wall. Donald Trump’s appeal is textbook Latin American populism. 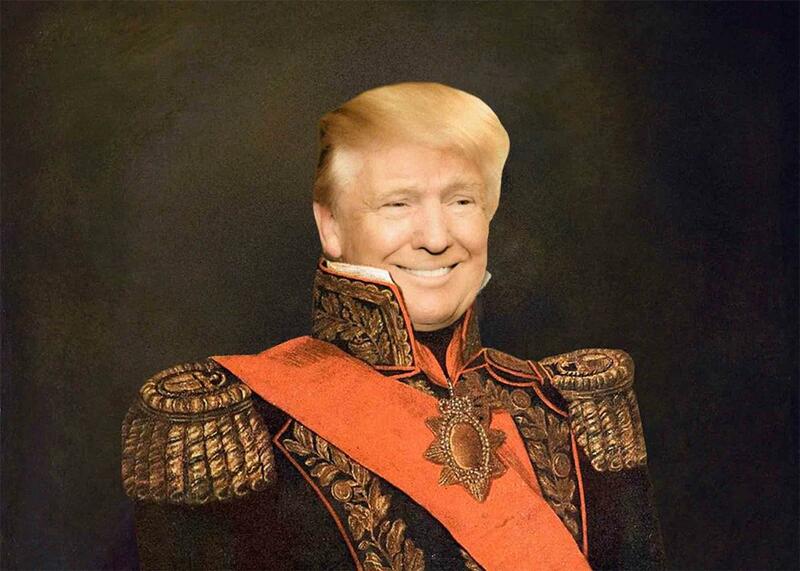 Donald Trump is more Latin American than you realize. Photo illustration by Slate. Photo by Gary Gershoff/Getty Images for Cantor Fitzgerald. This article is part of a series published in cooperation with the Mexican magazine Letras Libres. Francis Fukuyama recently wrote that “ ‘Populism’ is the label that political elites attach to policies supported by ordinary citizens that they don’t like.” The term has different meanings, or at least overtones, in different regions of the world and in different political traditions. In my part of the world, Latin America, it usually implies an authoritarian government centered around a charismatic leader who claims to be able to personally resolve all social and economic problems. It has been an endemic flaw in Latin American history and government. The Latin American populist leader harangues his people (or hers in in the case of Peronist Argentina) against those who are “not our people.” He proclaims the dawn of a new history and promises the advent of heaven on earth. Once in power, microphone in hand, he installs a pattern of systematic lying, decrees that his official truth is the only truth, invents external enemies to blame for his own failures, unhinges the economy, feeds hatred between classes, races, or other groups, maintains a continual mobilization of the masses, disdains parliaments and judges, manipulates elections, persecutes the press and media, and destroys civil liberties. Now, disgracefully, the United States seems to have contracted a form of this potentially lethal virus. For all that he wants to literally wall the United States off from the supposed economic and security threats to its south, Trump is actually very much in the tradition of Latin American populism. This particular Latin American variety of populism that Trump embodies is not only alien but directly opposed to the political traditions of the United States of America (though not of Hitler’s Germany or Mussolini’s Italy). It’s worth considering why our region in particular has been so receptive to it. The paradigm of Latin American populism in its most dangerous form is exemplified by the reign of Juan Perón and his wife Eva in 20th-century Argentina and more recently in the evolution of the late Hugo Chávez in Venezuela: charismatic leaders who ruin their countries’ economies, who polarize society by inciting hatred, and who use the democratic process to subvert democracy itself. The disastrous results of this tradition are on display in today’s Venezuela, the most oil-rich country in the world, where people are dying of hunger and lack elementary medical services under the rule of Chávez’s successor Nicolás Maduro. The American historian Richard M. Morse has offered what I consider the best response to this question in his book El Espejo de Próspero (Prospero’s Mirror), never published in English. Morse argued that the collapse of Spanish imperialism at the beginning of the 19th century left a power vacuum and a need for legitimacy, and Latin America’s educated elites were torn between two choices: to maintain the political structure that prevailed under colonialism, though under the leadership of a local rather than foreign monarch, or to overturn this system and adopt (without experience or precedent) republican democracy. Rather than choose, they opted for a compromise between the two, fragmenting central power into various regional hegemonies and strengthening the charismatic caudillos (military chieftains) who had arisen in the wars of independence. A new generation of strongman leaders like José Antonio Páez in Venezuela, Facundo Quiroga in Argentina, and Antonio López de Santa Anna in Mexico emerged to fill the vacuum, basing their legitimacy on their personal valor, their imposing physical presence, their charismatic attraction. But pure charisma could not build a legitimate state. Machiavelli recognized that “the Prince” had to govern through “laws that offer security to the people.” This need was understood, but it resulted, through almost all of Latin America, in a peculiar brand of constitutional legitimacy, quite far from liberal democracy and rooted in ancient customs, primarily the tradition of the Spanish paternal state. A crucial component of this tradition is the assertion that role of “the people” is less to delegate power to representatives than to give it away to a patrimonial center—king, viceroy, dictator, or president—who organizes social energy through corporatist arrangements and his own charisma. The leader promises, in effect, that “I alone can fix it.” This giveaway is almost total and impossible to revoke through peaceful means. If the leader turns out to be a tyrant, the only way to revoke his authority is tyrannicide. Innumerable cases validate this interpretation of 19th-century Latin-American political culture: Simón Bolívar in his final days (when he called for the institutionalization of a lifetime term for the office of president), Diego Portales in Chile, Antonio Guzmán Blanco in Venezuela, Juan Manuel de Rosas in Argentina, and Porfirio Díaz in Mexico. In the 20th century, directly inspired by Italian fascism and its control of the masses through the media (as well as of course through state-sponsored violence), patriarchal “caudillism” morphed into Latin American populism. Getúlio Vargas in Brazil, Juan Domingo Perón in Argentina, and some of the presidents of the Mexican Partdio Revolucionario Institucional during its long period of single-party rule are clear examples. Fidel Castro, in the beginning, was a populist caudillo, and his dictatorship—absolute and hereditary—owes as much to the ancient pattern of Spanish monarchy as to Marxism. Hugo Chávez fit even more neatly into Morse’s analysis. He was a charismatic leader who promised to redeem his people, won through elections, and then appropriated the entire economic, bureaucratic, and repressive apparatus of the state, canceled the division of powers, suffocated liberties, and moved his country tirelessly toward the installation of a dictatorship. Should he become president, there is a danger that the worst features of Latin American populism would merge with the features of another prototypical type of Latin American government, our utterly murderous military dictatorships, like those of Argentina and Chile in the ’70s and ’80s of the past century, clearing the way for a vicious application of state and hoodlum violence. There’s already enough evidence from how he and his supporters have conducted themselves during this campaign to justify this fear. Latin American populism, in both its right- and left-wing varieties has entered its final phase in Latin America itself, but it is a great paradox that a form of it (minus anything at all worthwhile in the tradition) has blustered into U.S. politics with the Trump campaign. We can only hope that it will not triumph. And if the misfortune of its electoral success occurs, let us hope that laws and institutions can block its anti-democratic progress and its contempt for truth.